This mango pickle is a mouth watering pickle prepared instantly within no time. In mango season there will be abundance of raw mangoes and we can prepare this pickle instanly at home and make use of those mangoes. 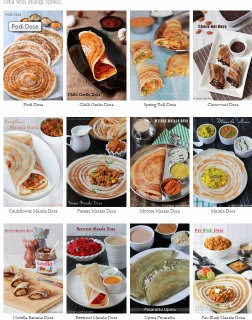 Apart from that for Onam it an inevitable item in Onam Sadya. This is one of the important pickle item served in the Onam feast. For Onam Sadya this pickle is prepared a day before as this wont spoil. 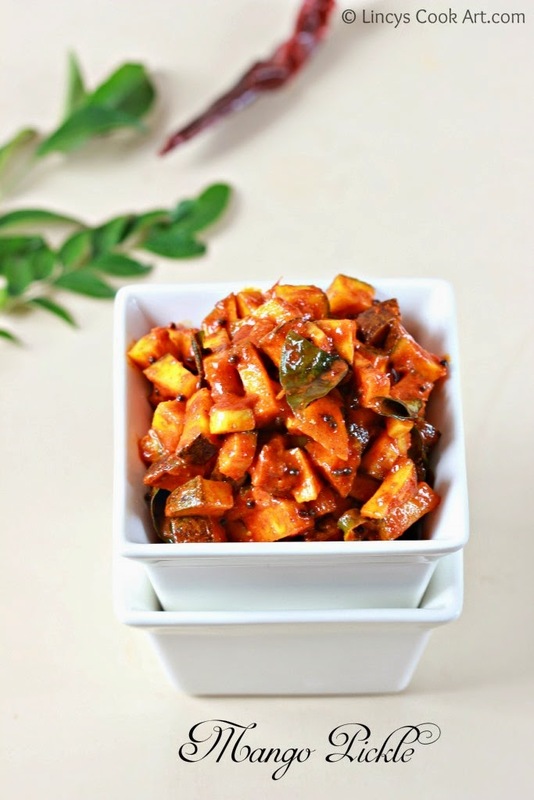 Other than Onam sadya almost all South Indian Thali includes this mango pickle prepared almost similar way. Cut the mango into small pieces and add salt and set aside. You can do this in the previous day too to absorb salt inside the mango pieces. You can proceed if you do not have time. Heat oil in a pan and splutter mustard seeds. Add the chopped green chillies and ginger and fry in that oil for fifteen seconds. Then add the garlic and the curry leaves and cook in that oil for fifteen seconds. Add turmeric powder, chilli powder and fenugreek power and mix well for a second and immediately add 1/4 cup of water and mix well like a gravy (or)Add all powders in a bowl with 1/4 cup of water and dissolve as a paste and pour in it. Once it starts to bubble add asafetida and chopped mango pieces and mix well and switch off the gas immediately. Check for salt and add if needed. If you cook further the taste of the mango turns sweet. Transfer the pickle into a clean airtight container and store it in refrigerator. Notes: You slightly roast the fenugreek seeds and powder it or you can use whole fenugreek seeds and add with mustard seeds. Wow yummyyy, my mouth is watering. Drooling on that mouthwatering pickle..